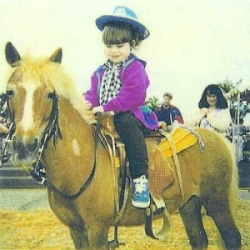 Picture your birthday boy or girl and their friends atop one of our small, well-behaved ponies. 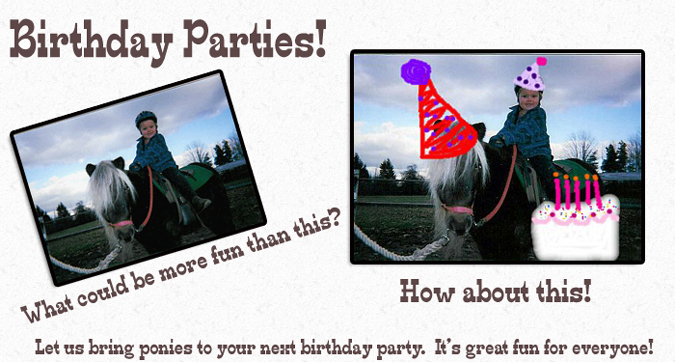 We will bring the pony to your party! Children love ponies, and our ponies love children. Options include pony photos of the special event, and be sure to bring your own camera for unique memories to last a lifetime!